The publication Our lives in our hands. 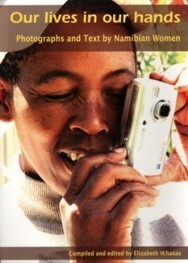 Photographs and Text by Namibian Women, compiled and edited by Elizabeth IKhaxas, Women's Leaderhip Centre, Windhoek 2007 presents the banners of the photo exhibition in book format. It is available in Windhoek bookshops and from the Women's Leadership Centre. 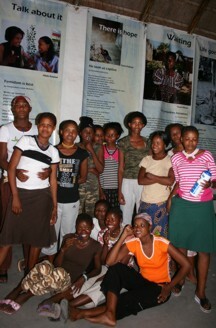 This booklet was developed in partnership with women and girls from across Namibia. It calls for the protection of women's rights in all spheres of culture and society in order to reduce the high rates of violence and HIV and Aids experienced by women in Namibia. It was published in English, Silozi, Damara/Nama, Oshiwambo, Rukwangali and Afrikaans by the Women's Leadership Centre, and in Otjiherero by Sister Namibia. It is now out of print. You can download the English version, or contact the Women's Leadership Centre for PDF-files of the other Namibian languages. This booklet was developed in partnership with women from across Caprivi Region. It breaks the silence and taboos on many of the harmful cultural practices that incorporate various forms of violence against women, young women and girls and expose them to the risk of HIV and Aids. Contact the Women's Leadership Centre for copies in English and Silozi. The photo banner exhibition Our lives in our hands is one of the outcomes of the photography workshops conducted by the Women's Leadership Centre in Khomas, Kavango and Caprivi regions with women living with and affected by HIV and Aids. The exhibition consists of 26 vinyl banners that evocatively combine images and text produced by the workshop participants 'in their own image' – documenting the powerful spirit of survival against all odds in regions with the highest prevalence of HIV and Aids in Namibia. The exhibition has been shown in Khomas, Kavango, Caprivi and Erongo regions in Namibia as well as at the 2007 AWID conference in Cape Town. We must choose life. 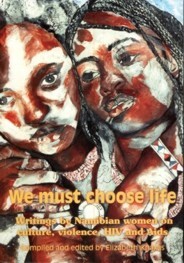 Writings by Namibian women on culture, violence, HIV and Aids, compiled and edited by Elizabeth IKhaxas, Windhoek 2008. 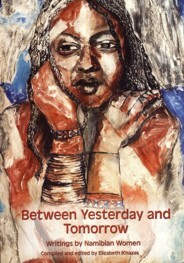 Both anthologies are available from bookshops in Windhoek. You can also purchase them directly from the Women's Leadership Centre.